Summer is here in Eastern North Carolina and today the temps are soaring into the mid 90’s. The beaches are busy but I am not one of the brave souls trekking over the hot sand to catch some rays. Truth is, I am not a fan of heat and humidity so I have been hiding in the air conditioning as much as possible. 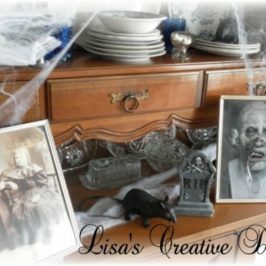 Summer also brings us days of relaxing in the pool, barbecues, fireflies, the lovely sound of crickets, Independence Day and Christmas in July sales. 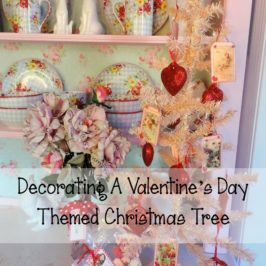 Speaking of Christmas, today I am going to give you a reason to drag your Christmas trees out of storage and incorporate them into your summer decor. 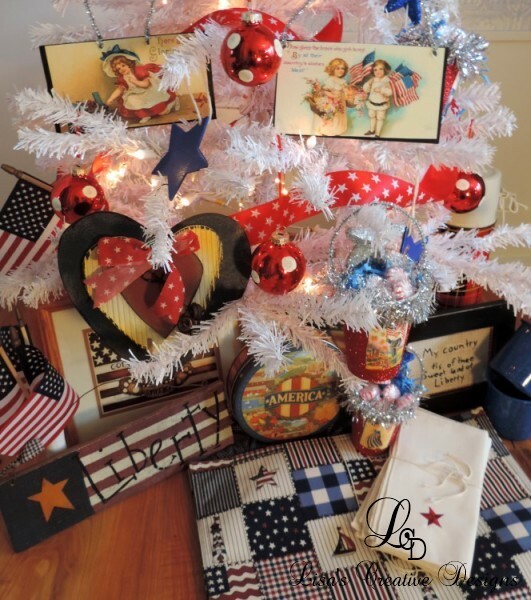 Decorating a Patriotic Christmas tree for the Fourth of July is a fun way to dress up your home with a little red, white and blue. If you happen to have a white Christmas tree you are off to a great start but if all you have on hand is a traditional green Christmas tree don’t fret. You can still get it all dressed up for the Fourth of July. Although purchasing a Christmas tree in the summer would be a daunting task, the good news is that stores will be chock full of patriotic themed decor. 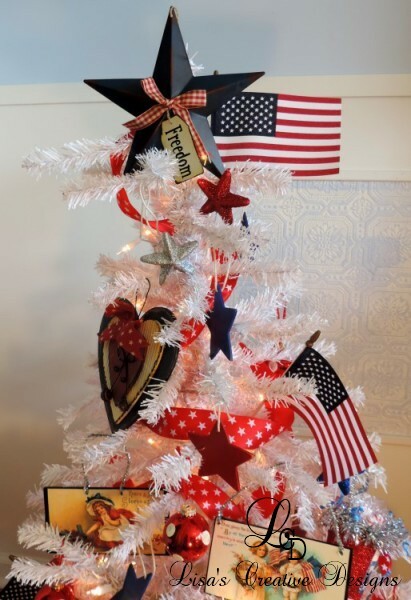 Decorate your own tree with small American flags, ribbon with stars or stripes and top it off with a metal barn star. Small signs, plaques and even red or blue Christmas balls can be added to a Patriotic Christmas Tree. 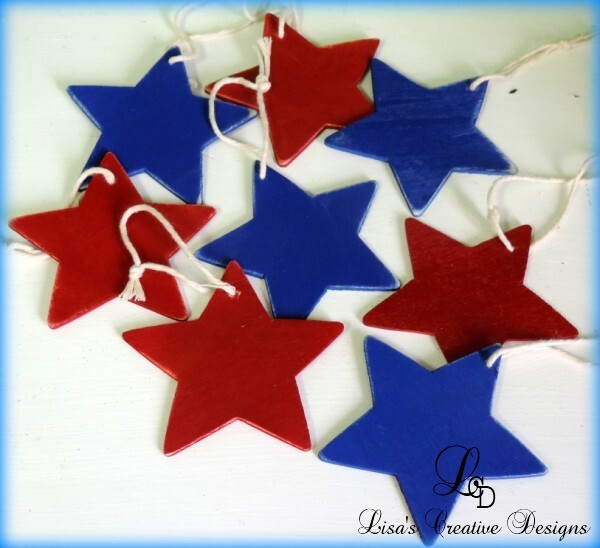 These hand painted and distressed Wooden Star Tree Ornaments are perfect for an Independence day themed Christmas tree. 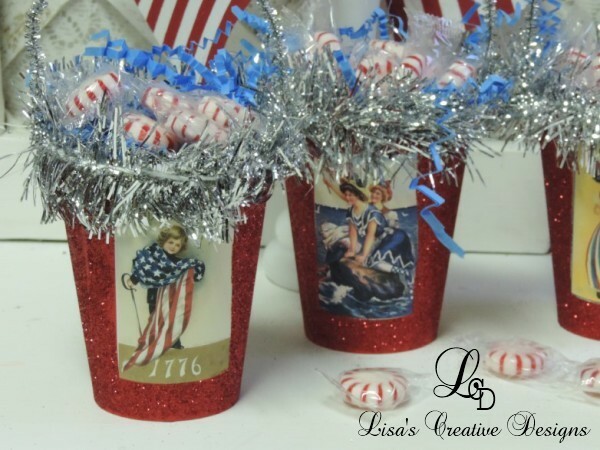 Little Vintage Inspired Patriotic Treat Cups can be hung on the tree filled with candy and hung on the tree. 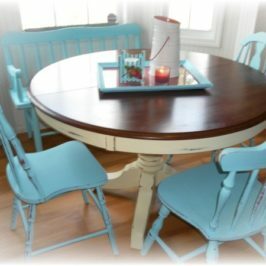 They can be given away as gifts or favors if you are hosting a Forth of July party. 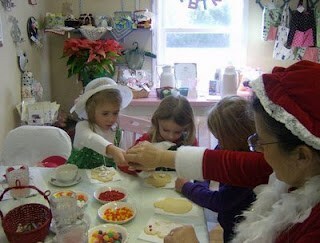 The little ones will just love getting a treat! 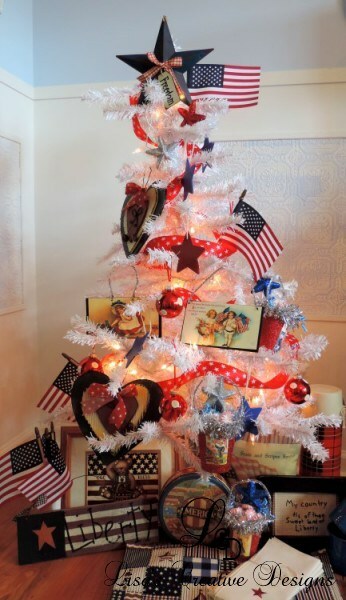 Decorating a Patriotic Christmas Tree for the Fourth of July can really make statement and create a focal point in a room if you are hosting a get together. 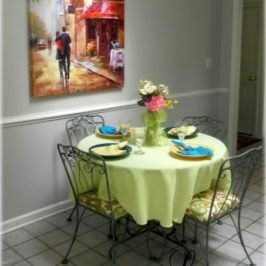 You could place one out on the front porch and add twinkling lights for a festive look. Use a small tree as a table centerpiece too! 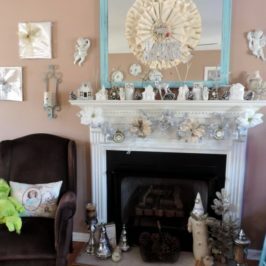 You could also decorate a Christmas tree in a Patriotic theme for Memorial Day, Labor day and yes, even Christmas if you love Americana Country Decor.